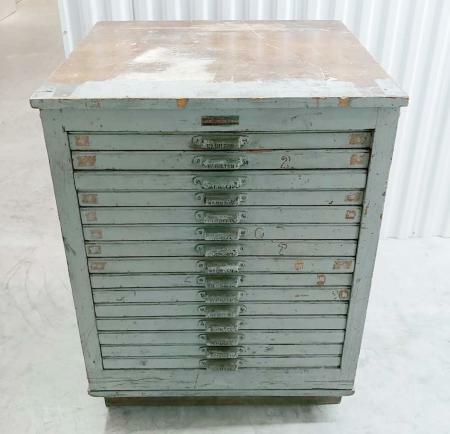 For sale is a 15 drawer Hamilton industrial type cabinet (believed to be pre-1912). Produced by the Hamilton Wood Type Manufacturing company in Two Rivers, Wisconsin. Original cast drawer pulls, name plate, and original paint. Drawers in excellent condition. Has been kept in climate-controlled storage in recent years.